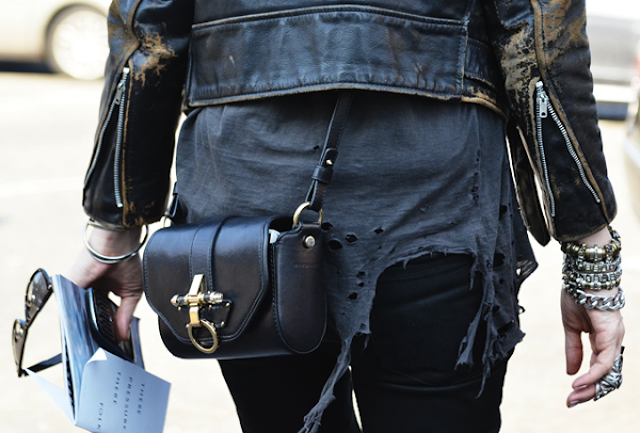 is sporting an all leather version of the dopest bag of the season. Loving the mix of the hard metal features against the soft velvet in the second option. i love the hardware on this bag!!! totally rocker chic! great, this bag is beautiful. This is what I call pure love!!! 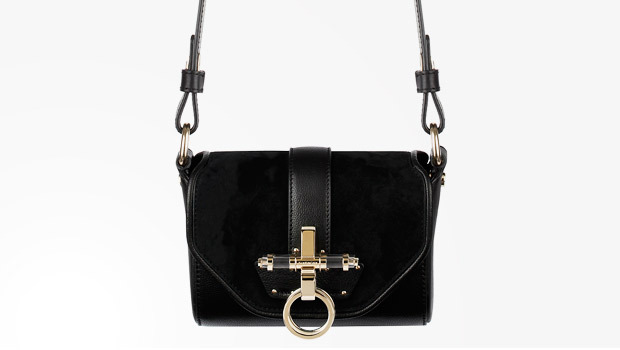 This bag is very beautiful and chic! And damaged jachet,it is really eye-catching. Oh i love the fisrt pic!